Expand your play with this collection of three Corporia supplements never before available in print: New Hires, Agents of Change, and Familiar Spirits! + Explore 11 mix-and-match character options and archetypes with the Drone, Elite, Fringer, Juvie, Moppet, Outcast, Rev, Risen, Spook, Squire, and Sym. + Load up with an expanded equipment selection of 12 special weapons, 9 pistols, 6 melee weapon augments, 4 substance augments, 8 vehicles, and an armored exosuit. + Discover 15 character assets available for new or pre-existing character archetypes. + Provide your sorcerers and witchers with the ability to easily conjure an animal familiar spirit – along with 8 special abilities and 12 sample familiars. + Includes a detailed index and special record sheets for vehicles and animal familiars. + NEW: A 3-page preview of an upcoming supplement, Inhuman Resources. Face off against the Forsworn, the ancient enemies of King Arthur now reborn on a mission of vengeance. Corporia is a tabletop role-playing game of genre-bending fiction and futuristic urban fantasy written by Origins and ENnie award-winning author Mark Plemmons. 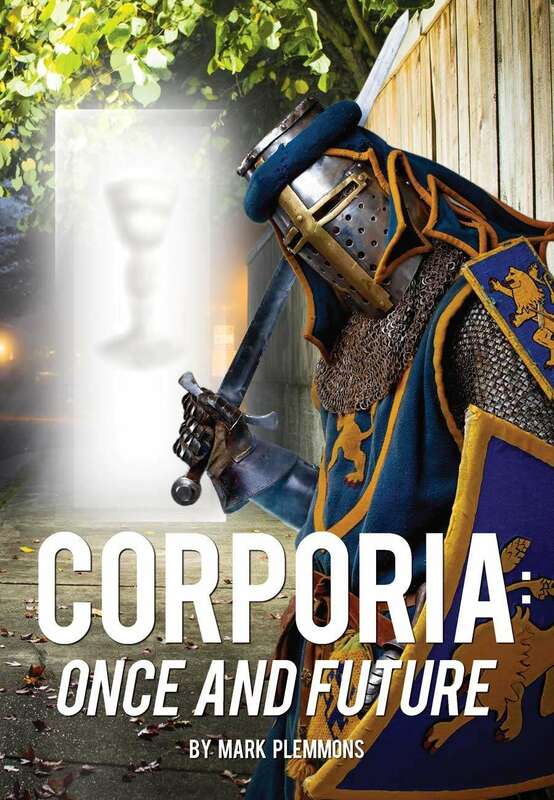 In Corporia, you take on the roles of reborn Knights of the Round Table or their supernaturally-powered allies, fighting an invisible war for justice in the struggle between otherworldly Chaos magics and the oppressive Order of the ruling mega-corporations! Corporia is 'knights in shining Armani.' It's what happens when you mix Camelot with a spoonful of Torchwood, add a pinch of cyberpunk, a dash of Joss Whedon's Angel, and a sprinkling of Shadowrun. If you enjoy these, you're going to love Corporia. Is the hardback version the same size as the core book hardback? Yes, the print-on-demand versions of the core book and 'Once and Future' are both 7" wide x 10" tall. Of course, 'Once and Future' is a bit thinner because of the difference in page count. Thanks, Mark! That's what I wanted to know.